I'm the Customer Service Manager. My goal is to develop a team that not only satisfies our customers but exceeds expectations. Our team wants to deliver 5 star service each and every time you contact us. If you ever want to contact me personally please mention me in your ticket or ask for me when you call. We appreciate everything that you do for us and again please do not hesitate to contact us with any questions or concerns you may have! Graphics sets for making person flyers, cards and so on? 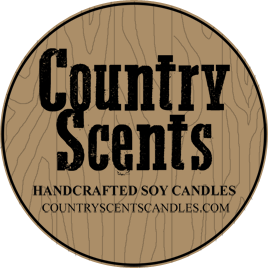 A means to link our Scents & Suds stores..
Hello Dixie, We show your store is set up correctly - www.countryscentscandles.com/store/dixielynn Please let us know if you have any further questions. Hello, You have 6 months to purchase your kits before they are no longer available. Hello April, I'm sure we will becoming out with more oil scent choices. I will pass on this suggestion to our Marketing Team as well. Thanks April! Hello Melissa, Have you already created a customer account? You can call or text us at 502-281-4357 if that is easier for you.